Kitting out a Nigerien army unit is not what most humanitarians would consider the best response to Boko Haram. But for the NGO Spirit of America, it is precisely the sort of muscular aid – along with more traditional wealth-generating development projects – that’s needed to tackle the militants. The US non-profit draws the line at supplying weapons. But for a donation of $27,239, Spirit of America will provide all the non-lethal equipment a 150-man unit patrolling the southern border with Nigeria needs. If that’s a bit steep, then $21 buys a headlamp and $62 a first aid kit. “Spirit of America is a philanthropic rapid response team providing humanitarian and economic assistance in support of our nation’s interests,” proclaims General (Rtd) Stanley McChrystal, of Afghanistan surge fame, on the banner of the group’s website. 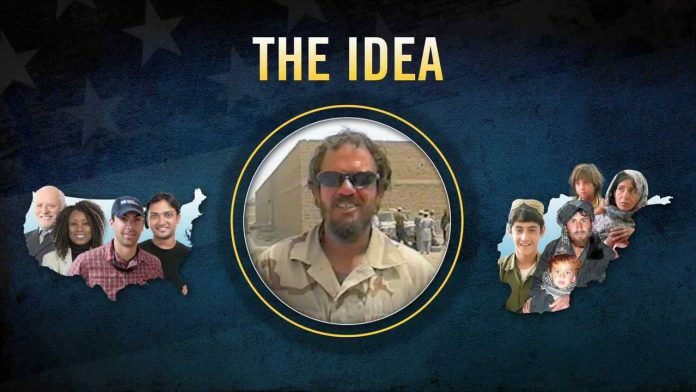 According to founder, internet guru Jim Hake, the idea came while watching a documentary in which a special forces soldier in Afghanistan wins the goodwill of a village through the supply of baseball equipment donated by friends and family back home. In gratitude, the village forms a “night watch patrol” to protect the US soldiers, and Taliban attacks end. Hake’s narrative is that his NGO links well-meaning US troops in global hotspots with the generosity of the American people. Field representatives, all ex-servicemen, work with the soldiers as “embedded venture capitalists”. Their job it to understand the humanitarian problems the soldiers are trying to solve, with the internet then used “to crowdsource whatever capital, knowhow and material is needed,” says Hake. Spirit of America funded a community-level counter-Boko Haram summit in Niger’s southern Region of Diffa in October – in partnership with the US army’s civil affairs unit and the Nigerien military – to discuss how to stop the flow of recruits to the militants, and better police the porous border villages. Brutal attacks by Boko Haram, a Nigerian-born jihadist group, have spilled into Niger, as well as neighbouring Cameroon and Chad. The US government is supporting regional governments in the fight against the movement, and a small special forces unit is in Niger. Further north, in the Agadez region, Spirit of America has spent $41,000 on veterinary school scholarships for a group of young men, the hiring of a veterinarian to work on a vaccination campaign, and two dirt bikes. The grand plan is to build wealth and resilience to undercut any local appeal al-Qaeda – active throughout the Sahel – may exert. On each page of the NGO’s website is the disclaimer that no endorsement by the Department of Defense “is intended or implied”. Spirit of America does, however, work directly with regional US military commands, and has a star-studded establishment advisory board including former Republican presidential nominee Senator John McCain, former secretary of state George Shultz, and several retired generals. The politicisation of aid is far from new. During the Vietnam War, Catholic Relief Services deliberately aligned itself with US military policy, and the bulk of its food assistance fed the Popular Forces Militia of the government of South Vietnam. In Afghanistan, NGOs were regarded as “force multipliers”, and Provincial Reconstruction Teams (PRTs) – mixed civilian and military units – were supposed to demonstrate the value of soft power. Effective aid programming is a bit of a science, and when done badly – as with the corrupt and inefficient PRTs – it can prove disastrous. Ex-military turned embedded aid entrepreneurs may have martial skills, “but in the civilian/development sectors, they may not have the expertise or the approach that a local NGO with decades of experience would have,” Jackson told IRIN. With total revenue of $3.2 million for the 2014 financial year, spread over projects in some 15 countries, Spirit of America is a relatively small operation. Katy Thiam, the head of public information for the UN’s emergency aid coordination body, OCHA, in Niger, said she had never heard of them. But the broader question, Jackson points out, is whether small, quick impact projects can be anything more than palliative – and whether in any real sense they take account of the dynamics of these complex conflicts. “You need to be part of a broader strategy to end them rather than just putting a band aid on it,” she said.